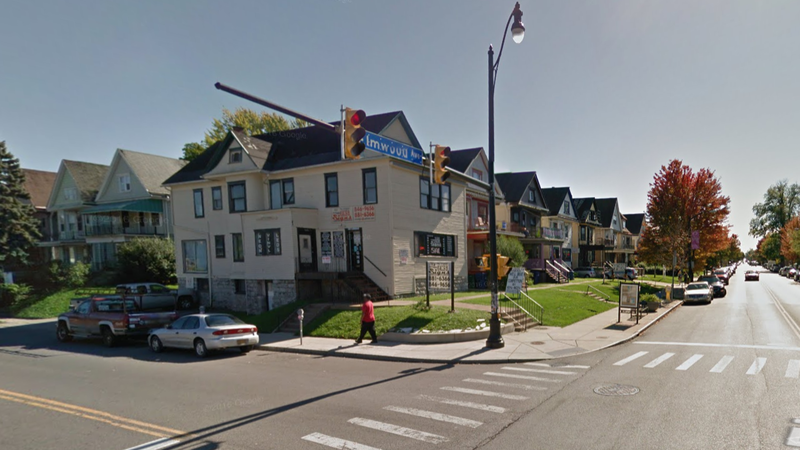 Demolition crews could begin transforming the corner of Elmwood Ave & Forest Ave. in July. Chason Affinity's proposed four-story mixed-use project at 1111 Elmwood Avenue includes 40 condominiums and some retail space. But Attorney Art Giacalone - who is assisting neighbors opposed to the project - has uncovered several problems with the document, adopted Monday, including no response to public comments by Planning Board members. "It actually is the city just agreeing with and adopting the one-sided perspective of the developer on all the various issues that were raised of concern by residents of the city of Buffalo," Giacalone said. Those concerns include the fact that under the Brown Administration's new Green Code only two lots can be combined on Elmwood Avenue. The building would cover ten parcels on Elmwood and two parcels on Forest Avenue. "Chason is saying that, 'oh we consolidated these lots last year.' Well the only legal way to consolidate it is with a public hearing before the Planning Board. And the Planning Board consolidating it. That never happened. The record is clear. The Zoning Administrator, Nadine Marrero said, that they did not go through the Planning Department and the Planning Office," Giacalone said. And despite the Green Code, Giacalone says, the city is also allowing Chason Affinity to call the structure a residential building on the Forest Avenue side. And on the Elmwood side its called a commercial building. "The idea is a pedestrian friendly commercial usage on the first floor. Despite that fact, the building that they're showing right now, there's a large stretch of it, the south part of that building fronting on Elmwood Avenue, is totally residential," Giacalone said. And he says, that if he's correct, then Chason Affinity's application is not complete. "It's just very troubling. The public deserves, we all deserve, some consistancy in how the law is going to be applied. And here's this first major project under the Green Code. And whether it's ignorance of their own law. Or whether it's an indifference to actually applying it, they're letting Chason Affinity get away with massive differences between what the law allows and what they're proposing right now," Giacalone said. He also says the company's planning to start demolition on the southeast corner of Elmwood and Forest July 15th. The Brown Administration and Chason Affinity did not immediately respond to WBFO's interview request.